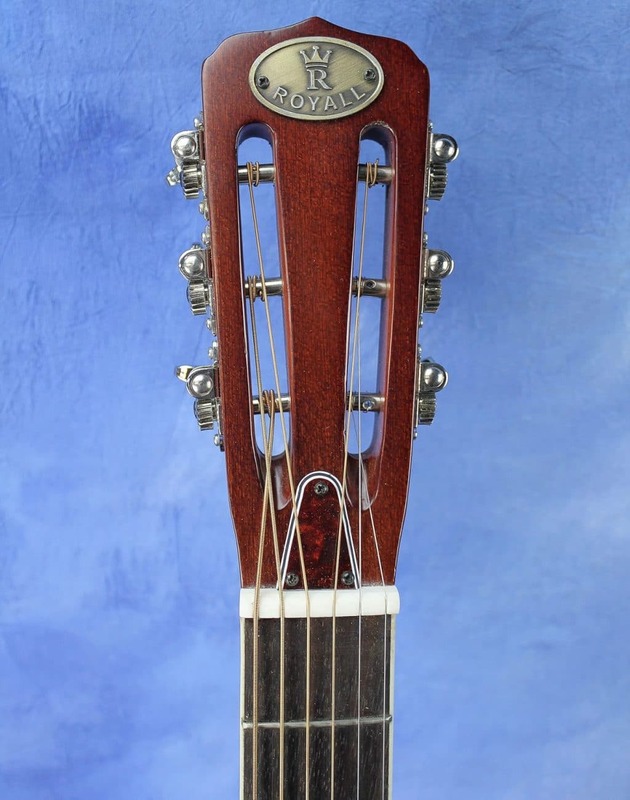 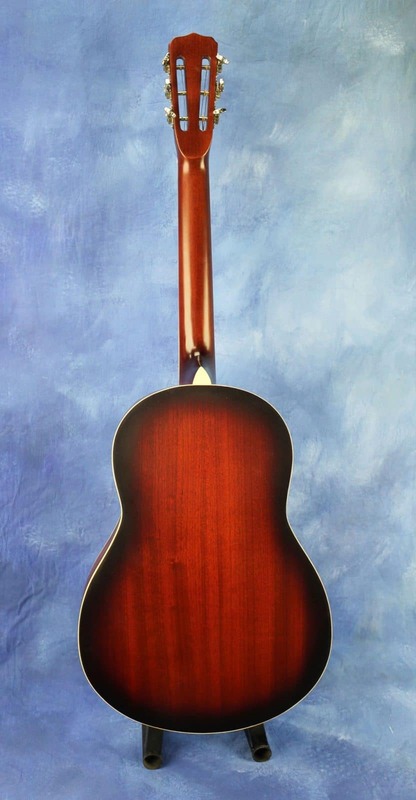 The Trifonium Hybrid is a 12 fret wooden body tricone model. 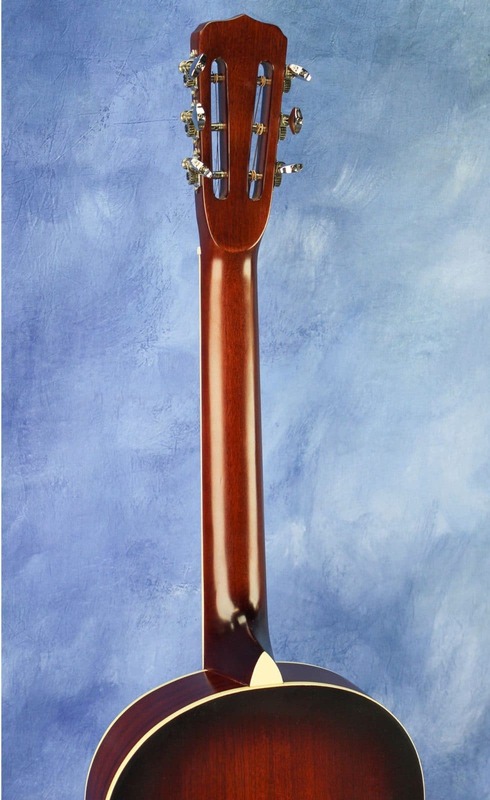 Based on the original National tricone models, the Trifonium Hybrid has a mahogany body like the original Trifoniums but it features a brass top. 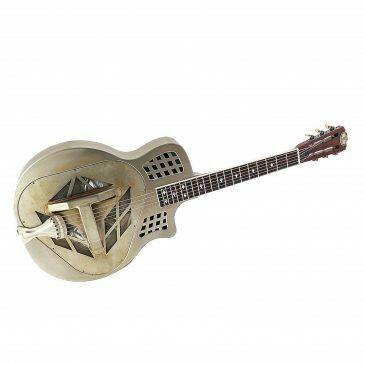 The combination of the wooden body and the brass top give the Hybrid a really distinct sound. 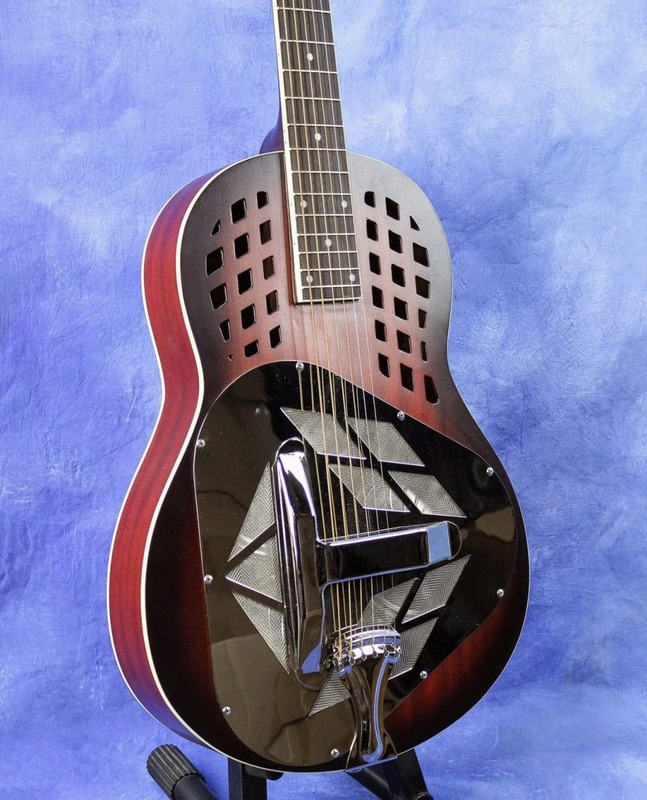 It has the warmth of the mahogany body and the honk of a metal top. 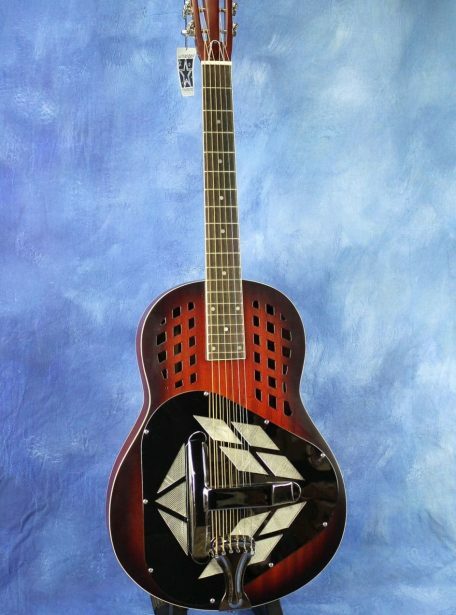 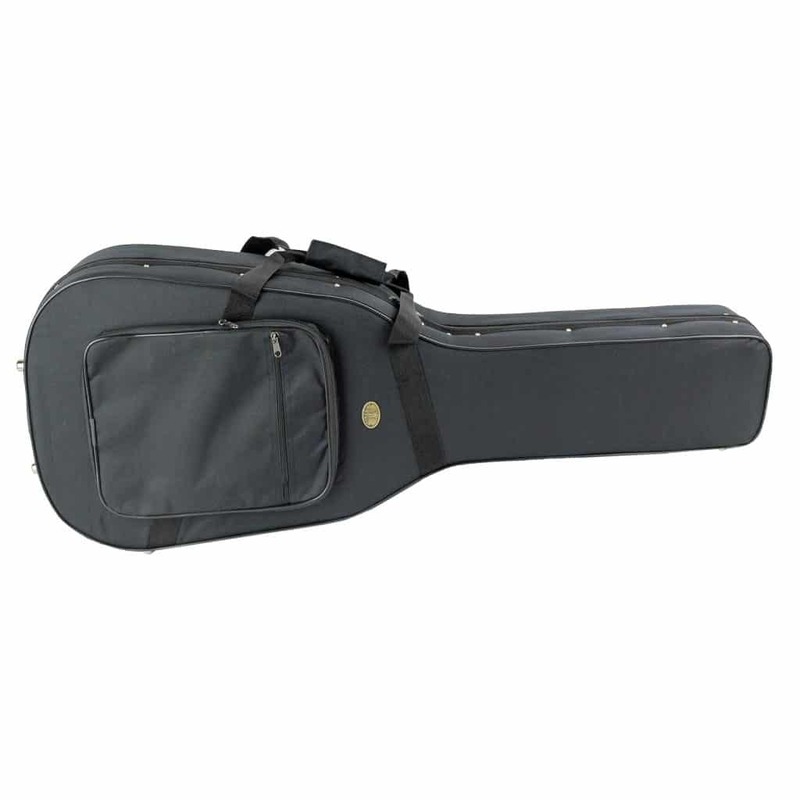 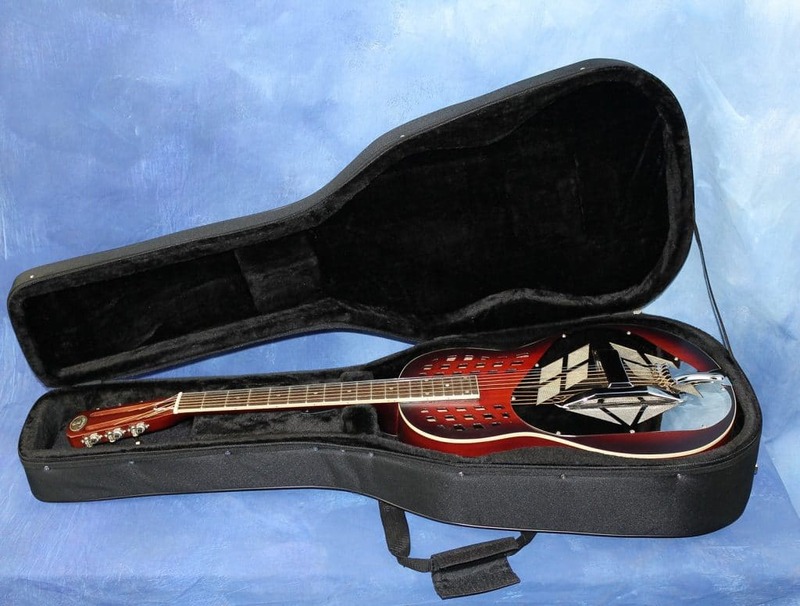 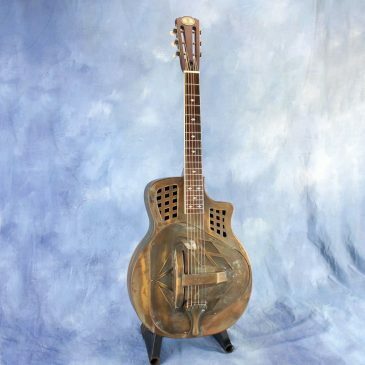 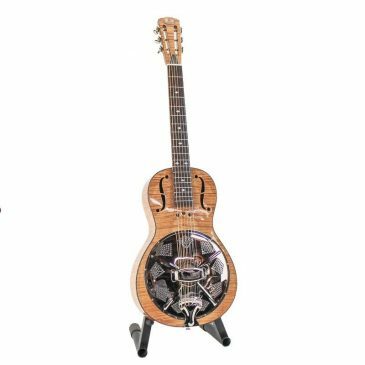 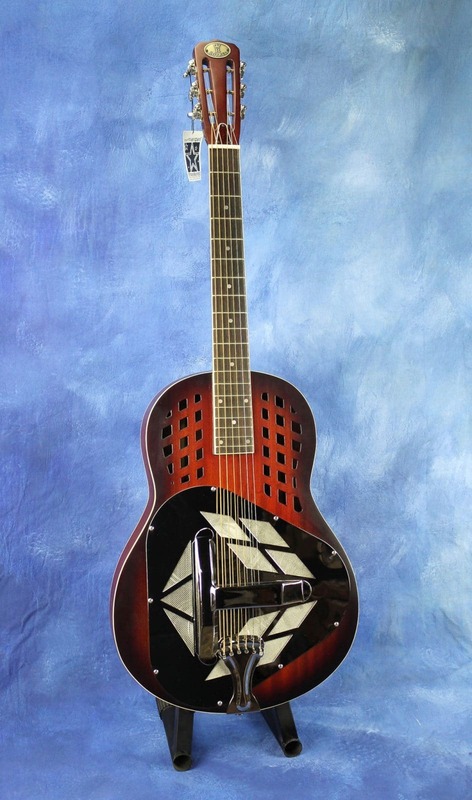 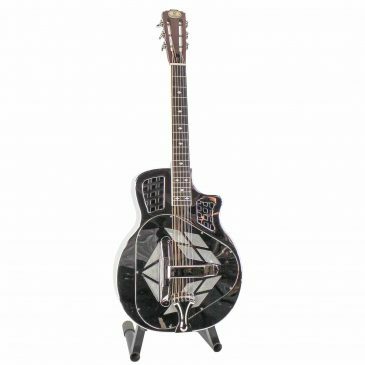 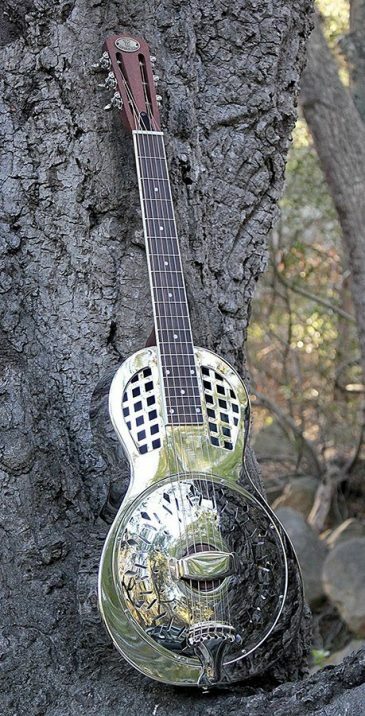 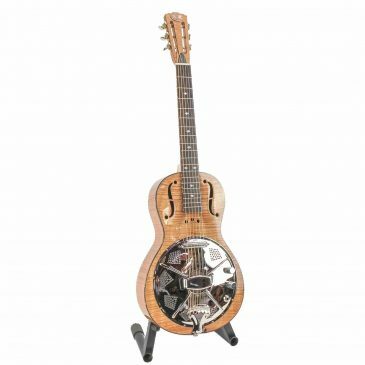 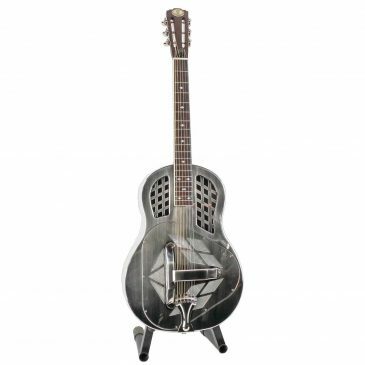 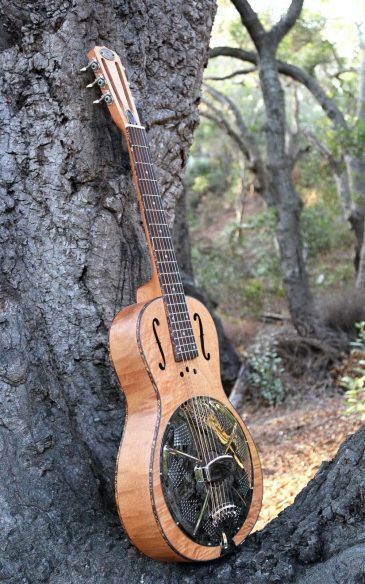 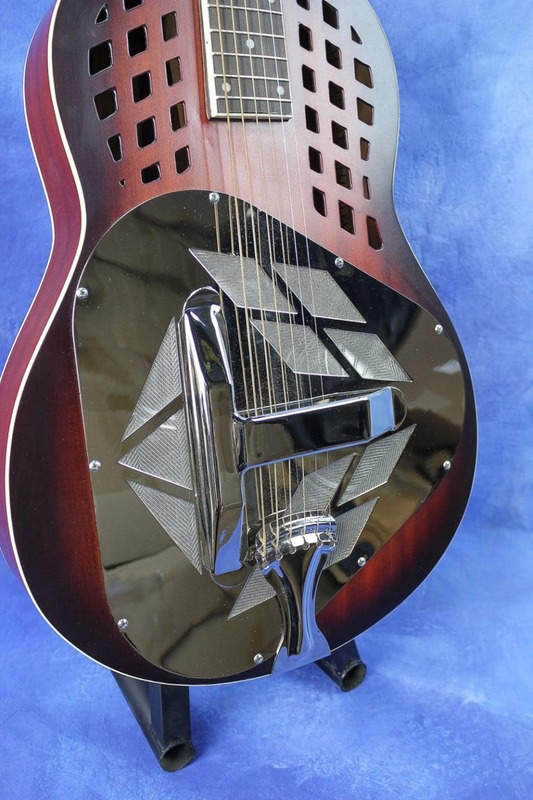 Hard to describe exactly, but it has a sound like no other resonator you’ve ever played.